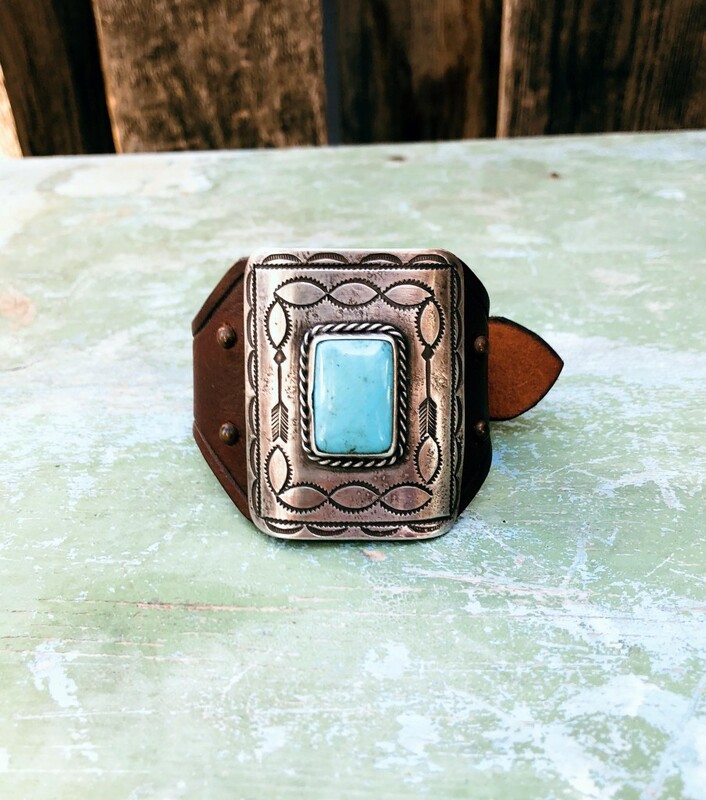 Sterling panel with a large rectangular turquoise stone, mounted on a French bridle leather cuff. 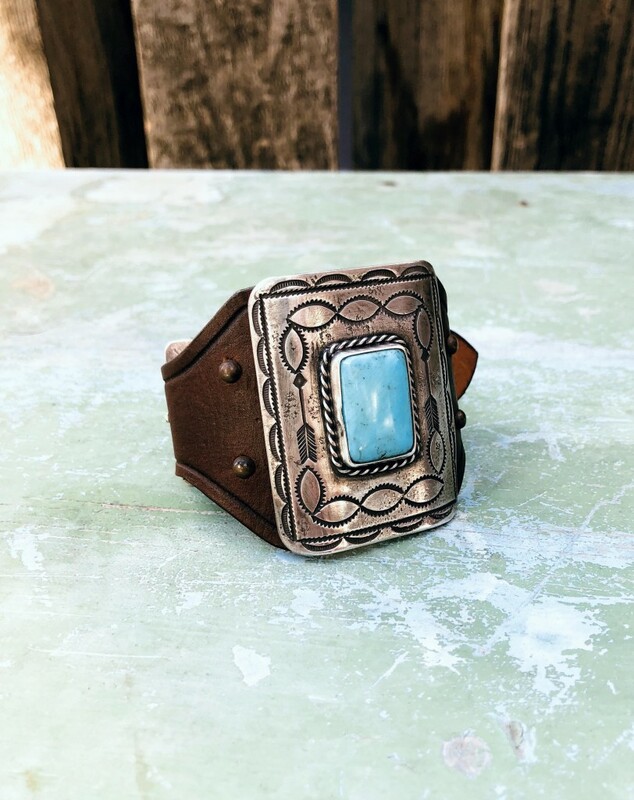 Stampwork including arrows, overlaid sterling rope, and a sterling buckle with stampwork add to the design. 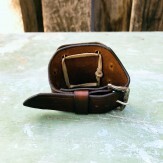 Panel measures 2 5/8" x 2"; cuff adjusts from 6 5/16" to 7 5/8". Billets are 1" wide. Size: Panel Size: 2 5/8" x 2". 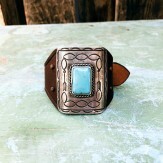 Bracelet size 6 5/16" to 7 5/8". 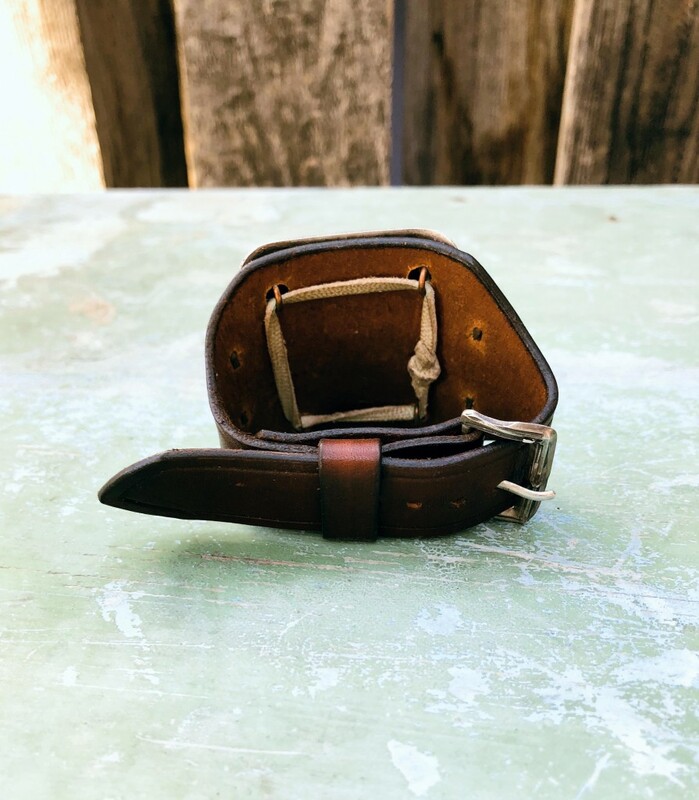 Billets are 1" wide at buckle.